This Filter Bottle will fit most water coolers. 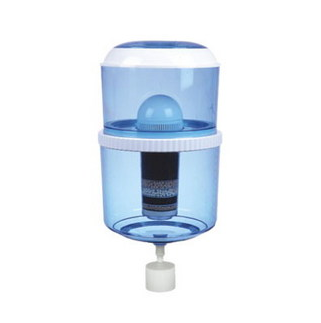 Just fill with water from the tap and enjoy the benefit to drink healthy drinking water with added minerals. The cartridge inside the bottle needs to be replaced only every 6, 9 or 12 months. Please contact Peter on 0405-176472 for advise on your filter change.